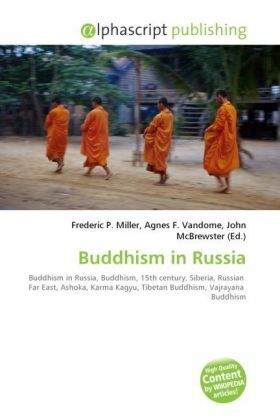 Historically, Buddhism was incorporated into Russian lands as early as the late 15th century, when Russian explorers travelled to and settled in Siberia and what is now the Russian Far East. It is also believed that Indian King Ashoka had sent monks to spread Buddhism all over the world including Siberia.The main form of Buddhism in Russia is the Karma Kagyu school of Tibetan Buddhism, the major sub-sect of the greater Vajrayana Buddhism. Although Tibetan Buddhism is most often associated with the peoples of Tibet, in the north the sect spread into southwestern and northern China, Mongolia, and finally Russia. In the south, it took hold in Bhutan and parts of northern India and Nepal.Afterwards, it began to spread into the geographically and culturally adjacent Russian constituent regions known today as: Amur Oblast, Buryatia, Chita Oblast, Tuva Republic, and Khabarovsk Krai.